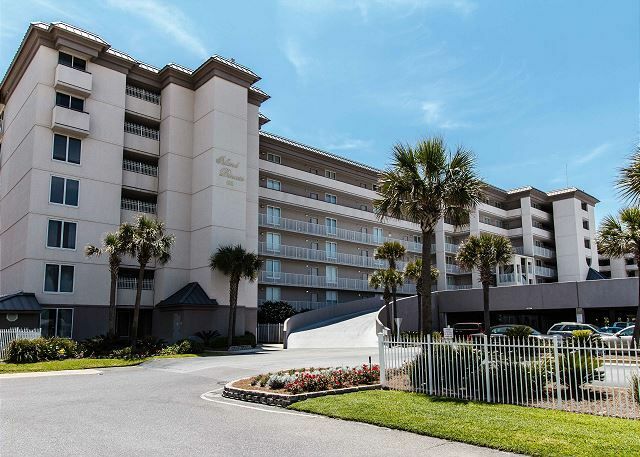 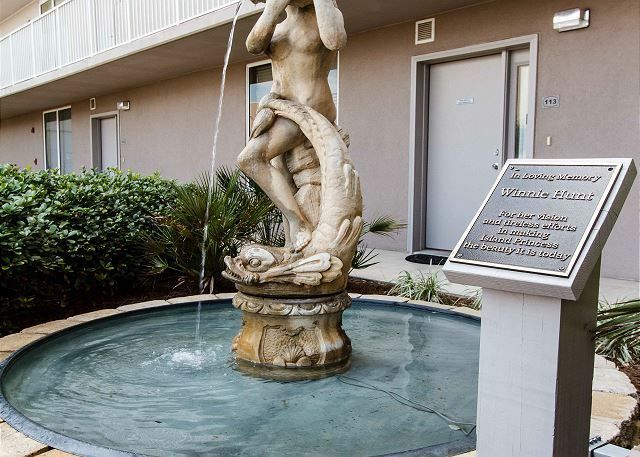 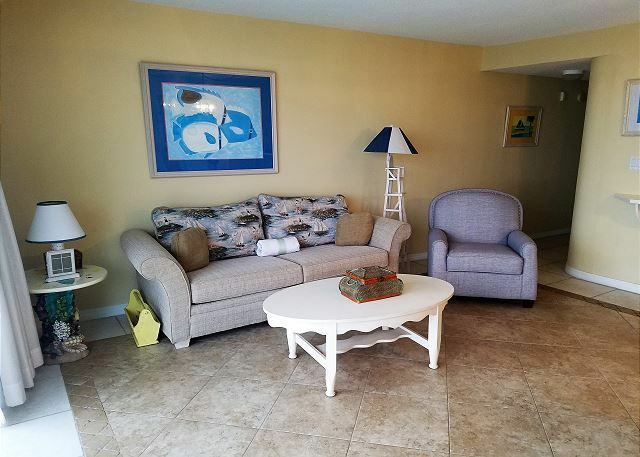 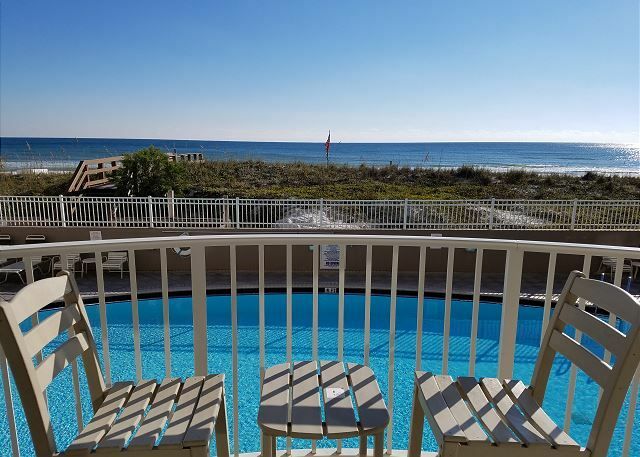 Enjoy watching the dolphins swim by or the beautiful sunsets on your 2nd floor gulf front balcony. 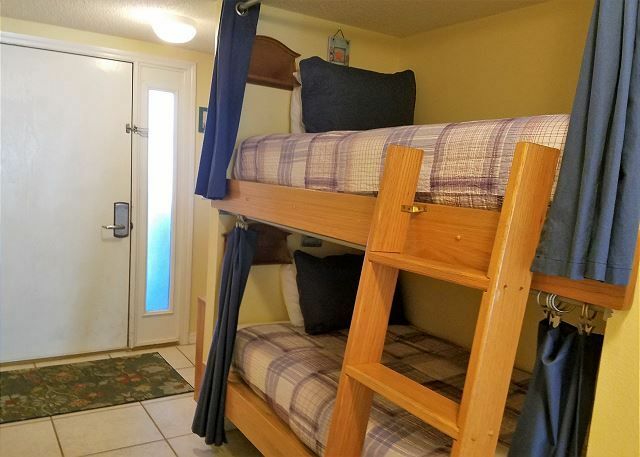 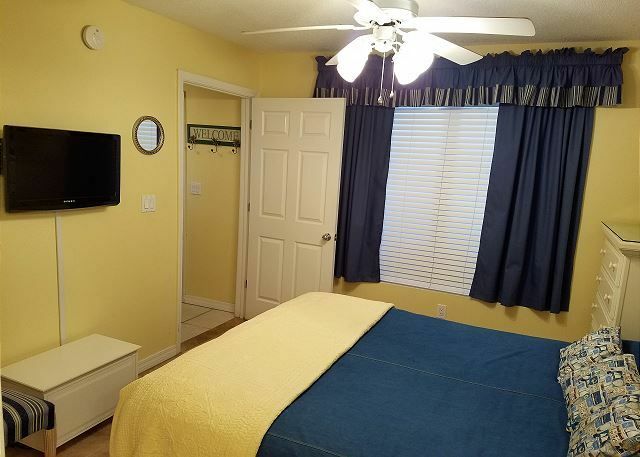 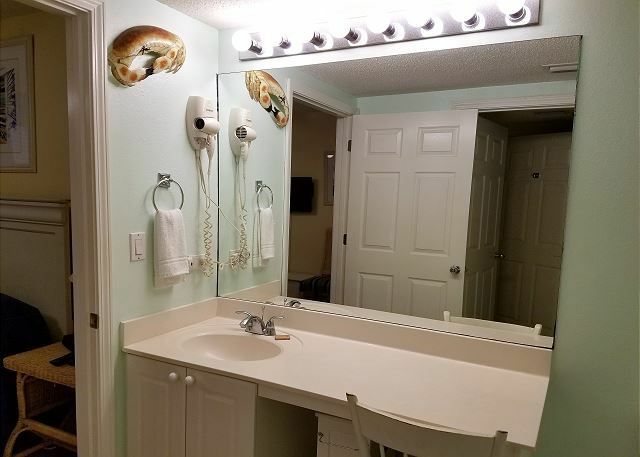 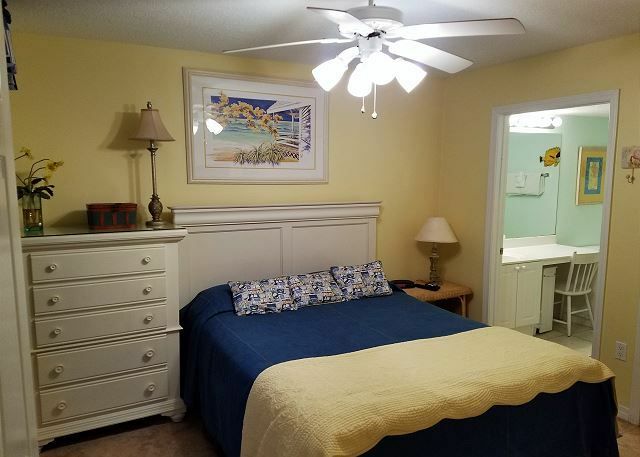 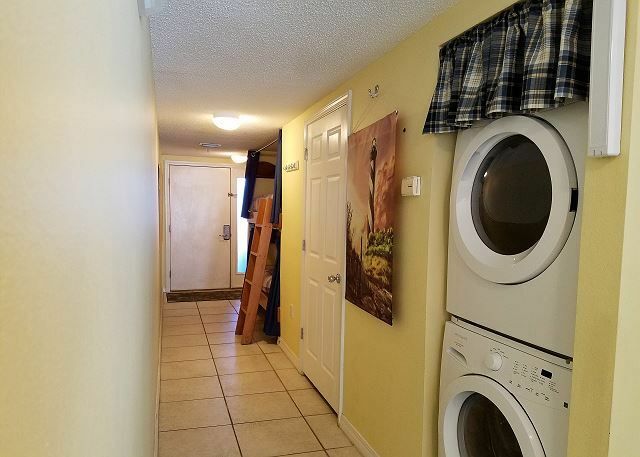 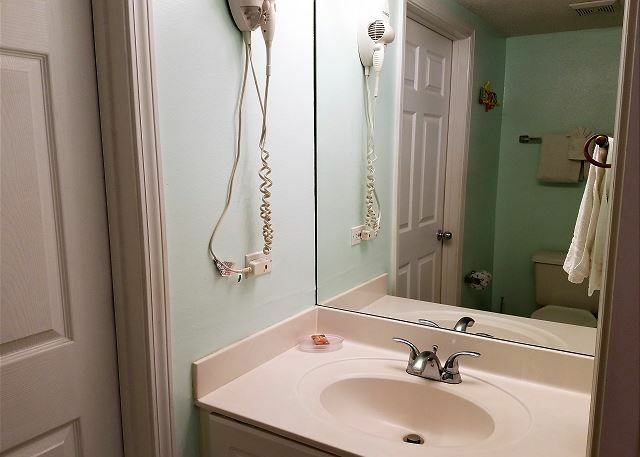 One bedroom, two bathrooms unit with bunks. 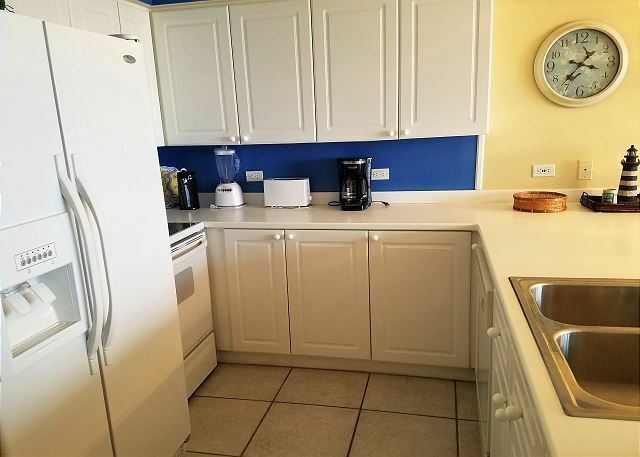 Fully stocked kitchen with all the essentials for your next meal. 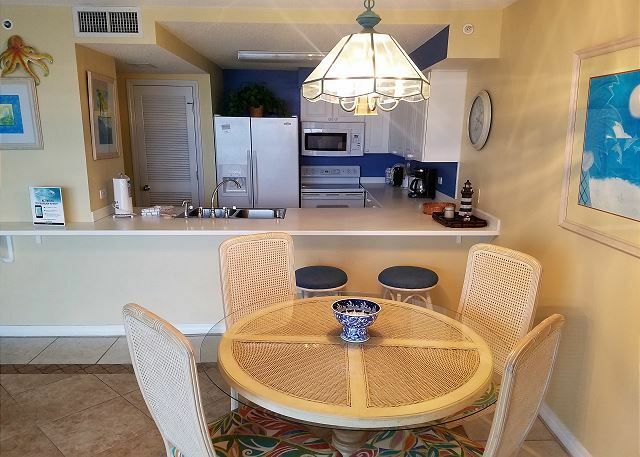 Breakfast bar for extra seating and a beach front dining area that sits 4 guests. 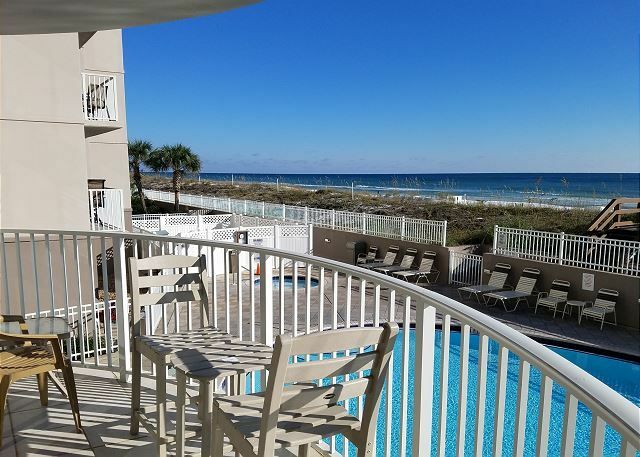 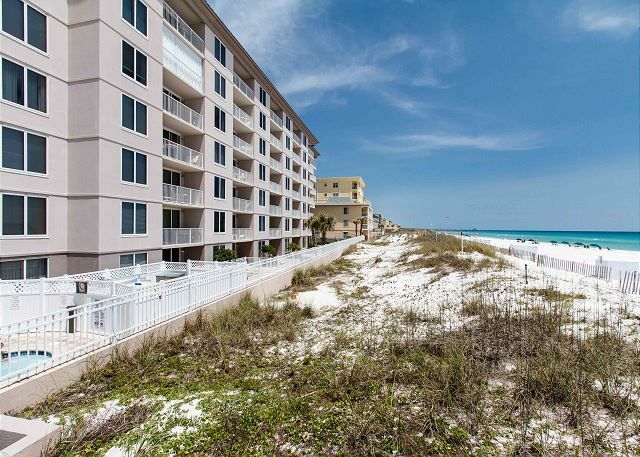 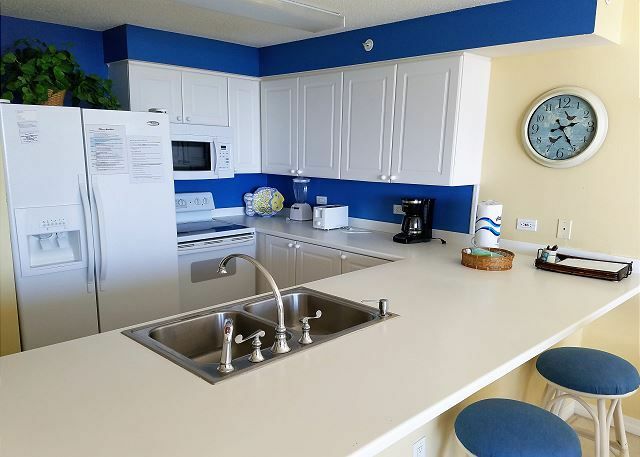 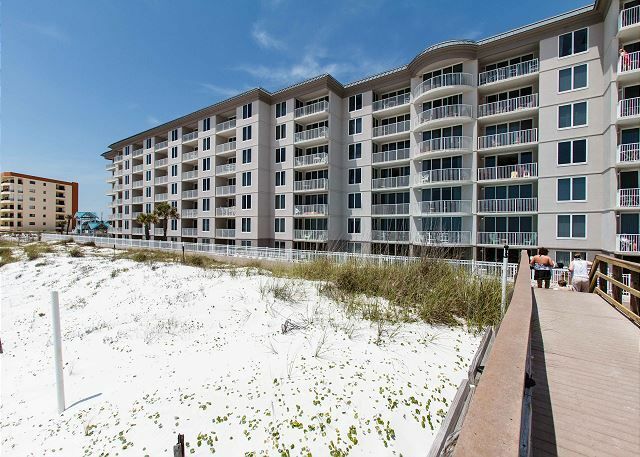 Enjoy the beautiful gulf of Mexico and its breathtaking views while cooking your meals, if you choose. 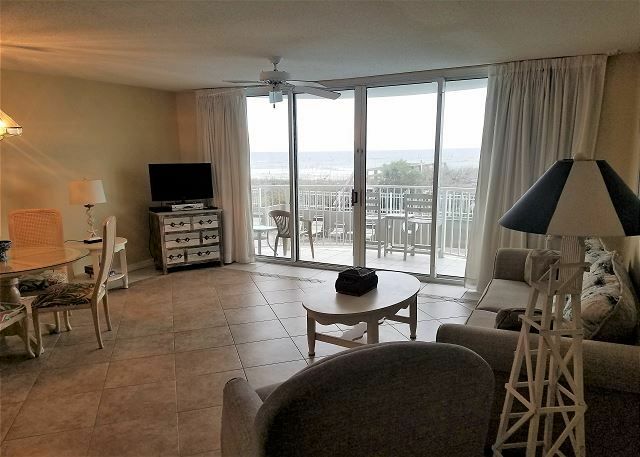 Living area features queen sleeper sofa, flat screen TV, and balcony with gulf front view. 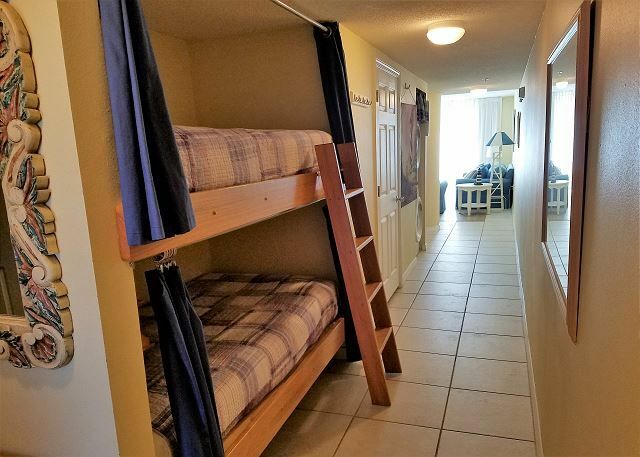 Master bedroom hosts a queen size bed, flat screen TV, Bunk area in the hallway with two twin bunks. 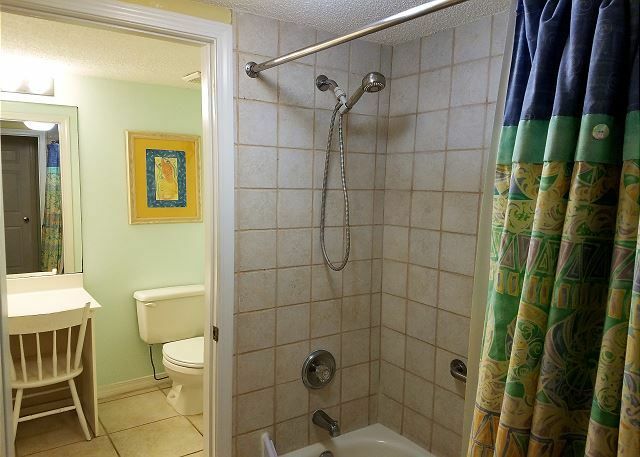 Keyless entry and tile floor all throughout . 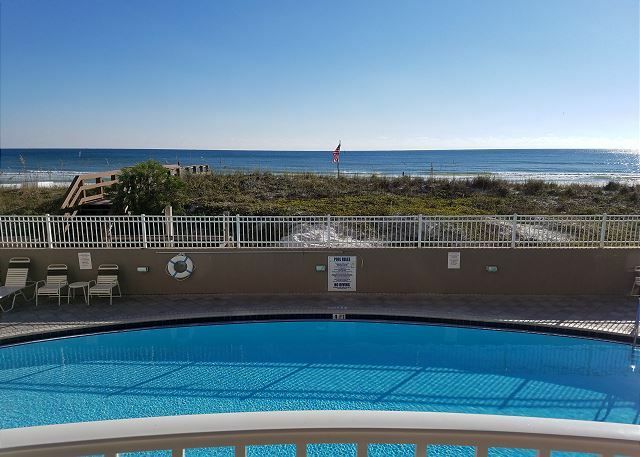 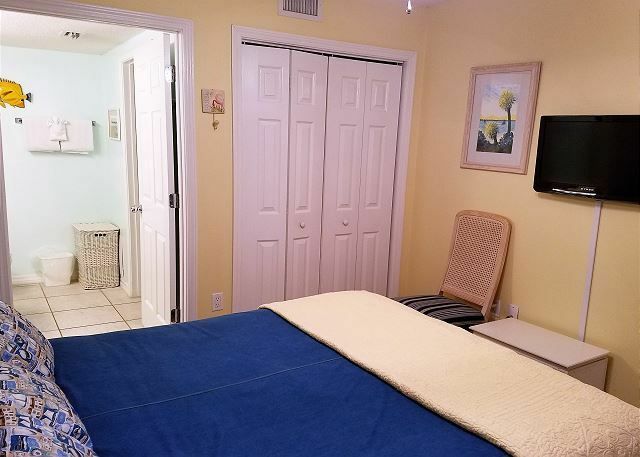 Guests of the Island Princess have use of the resort’s heated pool, spa, exercise room, barbecue grill area, free high-speed internet, and a boardwalk to get right on the beach. 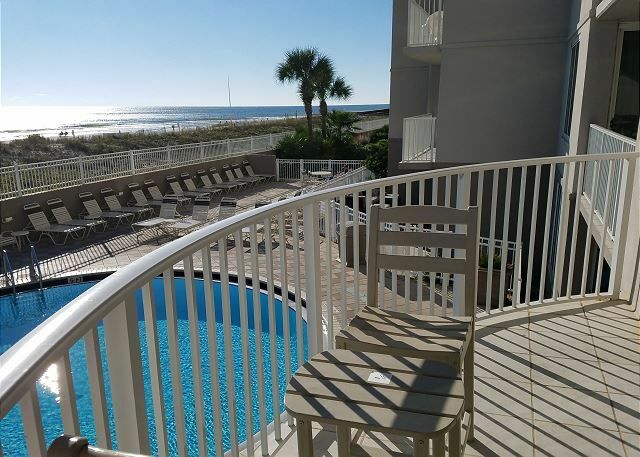 All of our daily and weekly guests receive the following complimentary guest package: 2 beach chairs and umbrella set up for you on the beach (March 1 to October 31); 18 holes of golf with 1/2 cart at Shalimar Pointe Golf Club daily; one free pass to a 2-hour Dolphin Cruise daily (March - October ), 1 adult pass to snorkeling daily (March - September); nightly movie rentals, FREE Internet access. 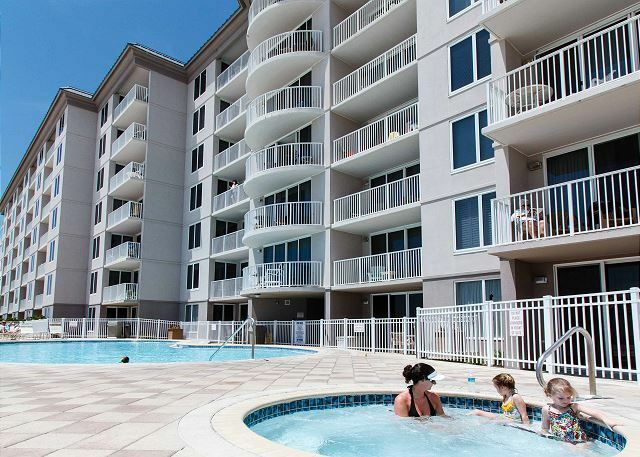 BrooksandShoreyResorts 888-244-4137 Show Phone No.